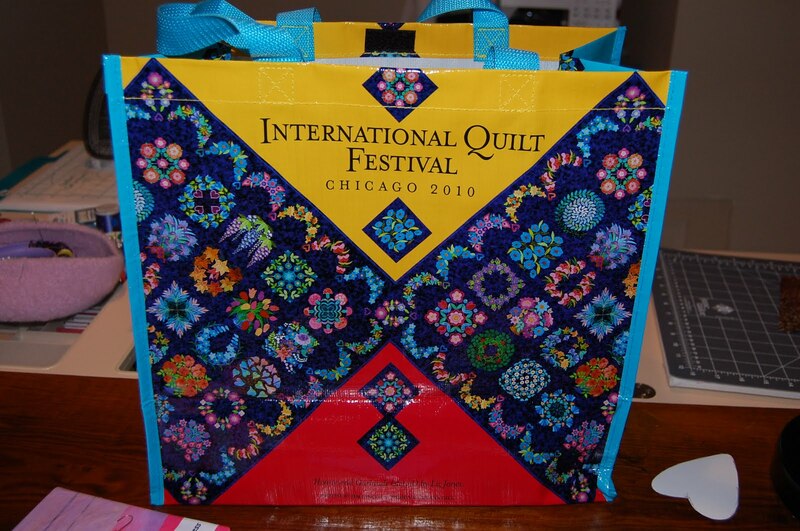 I had cancelled my reservations to the International Quilt Show in Chicago on Tuesday last week knowing that it would be foolish to think I could drive 4 hours and then walk for two days straight after my foot surgery. But two things changed on Thursday-I was offered a ride for the day on Friday and I found out that it was the last year for the show in Chicago. So I jumped on the ride with some friends and got up very early to make it to the show by 9:15. After the announcement that it’s the show’s last year in Chicago, the crowds were huge. I am very sorry to tell you that I got to the show and found out that I had left my memory card for my camera at home. I was so sad…..the quilts were amazing as always. I think I saw about 75% of the exhibits and about 40% of the vendor booths. The exhibits I think I liked better than last year-subject matter and I really had fun with so many names I was beginning to recognize. The Rust Tex exhibit was interesting. I was pleasantly surprised to run in to some old friends too. I ended up buying the cd because I felt so badly I forgot the memory card-ok I couldn’t stop obsessing about my mistake and needed to move on with the day. My foot got tired and sore so I signed up for those great classes from Make-It University through Quilting Arts. I got into to two of the mixed media classes and it was a good time to try different things I probably wouldn’t do on my own-gel medium, setacolors, bling, etc. 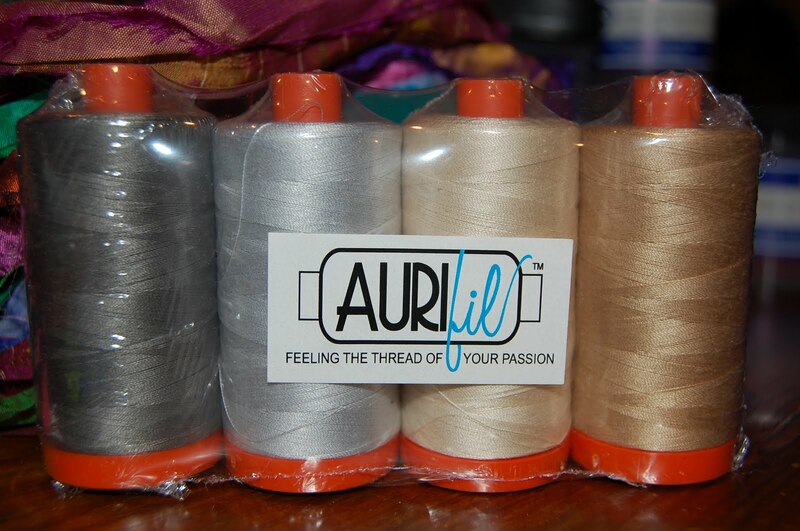 not because I don’t like those things but just because it’s another investment of art supplies. I did find some neat things and actually went with a list. 1. 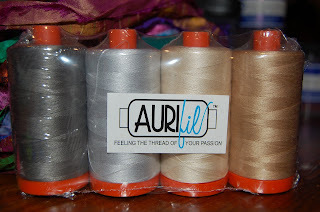 Threads- I love Aurifil thread for piecing and these spools should last a good long time. 2. 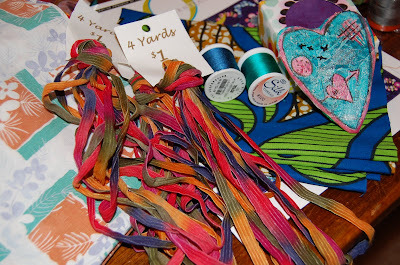 Scraps-Love poking around booths to see if they have plastic bags full of scraps-yes I pay for them but they are stuffed full of goodies. 3. 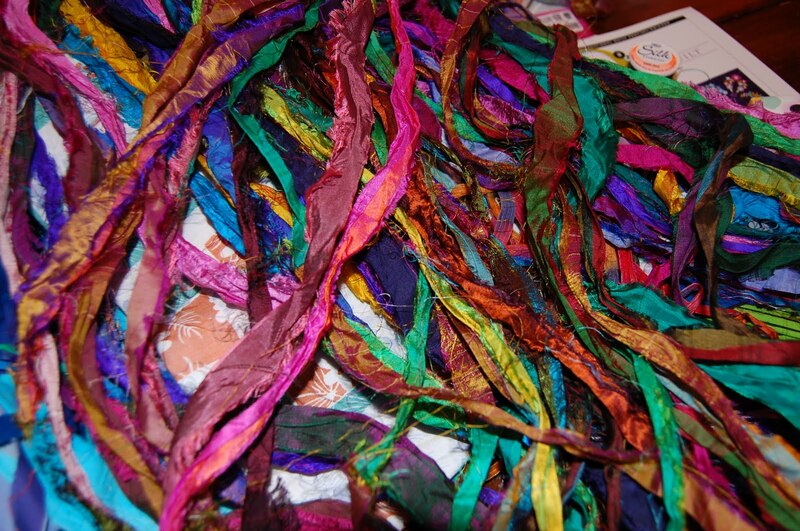 Ribbons- Like to pick up special bits of hand-dyed ribbons and a great skein of silk scrap yarn. My little heart was from one of my classes. 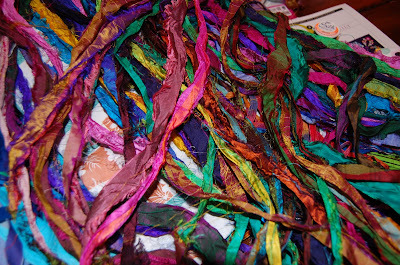 Lynne-remember the banana yarn man?-this skein of scrap silk came from him. 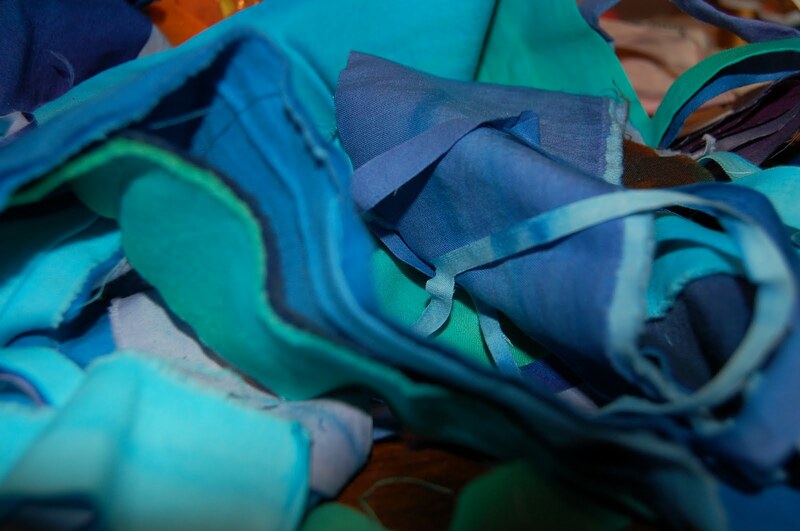 Isn’t it funny that what I love the most are the scraps I can recycle? 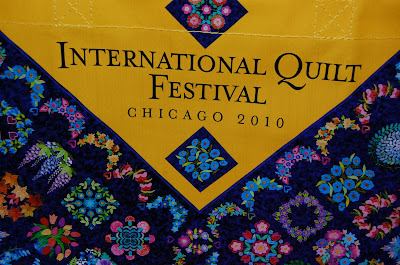 This entry was posted in IQF on April 17, 2010 by Colleen Kole.